Today I have some fun and new things on my mind. It's almost time to announce the winner of the Chilly Challenge. 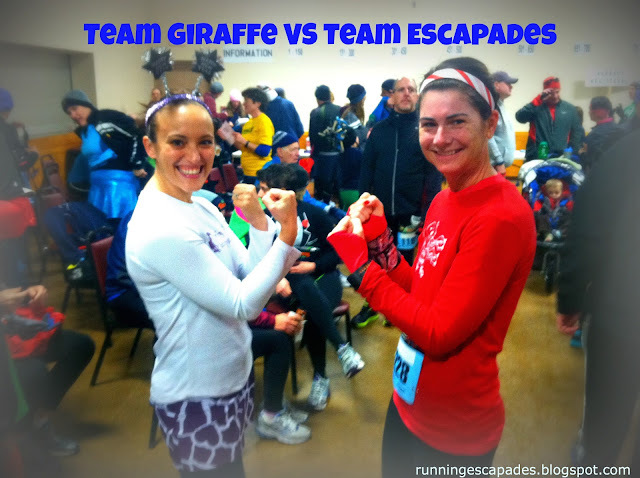 All miles must be logged by midnight EST tonight to count for Team Escapades. Check back tomorrow to see which team won! 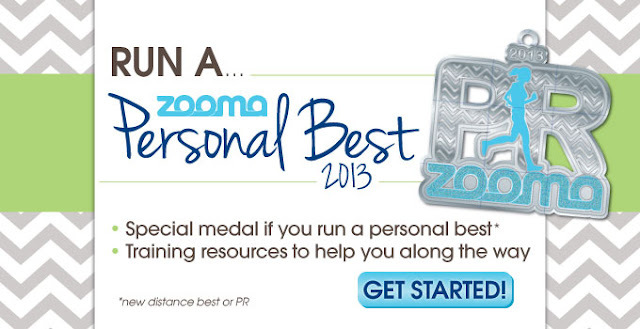 My friends at ZOOMA have launched a Personal Best Program. The program challenges runners or walkers to complete a distance best or set a personal record. If they achieve their goal, athletes will receive a special “PR” medal at the finish line party, offering the opportunity for extra bragging rights. There's a brand new race happening in one of my favorite places. 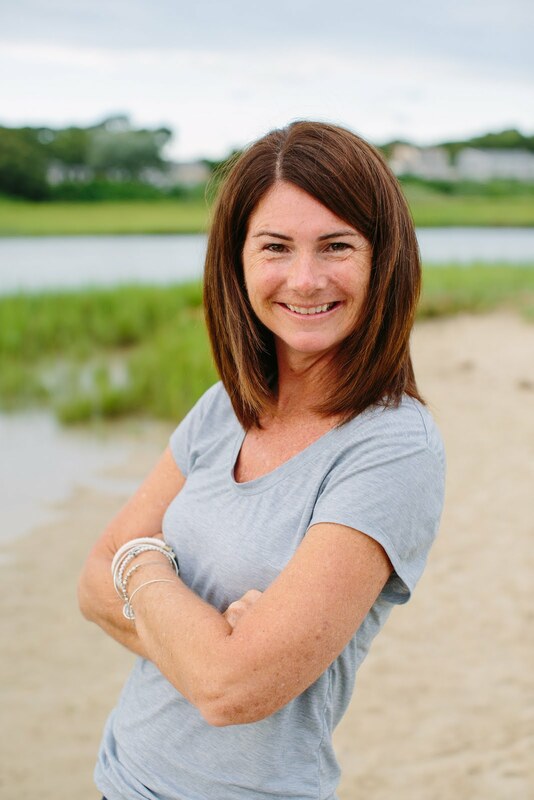 The Newport Ten Miler has a fantastic course lined up that takes runners down scenic Ocean Drive, past beautiful mansions, and through the gates of Fort Adams. Best registration price ends today! What fun things are you thinking about? 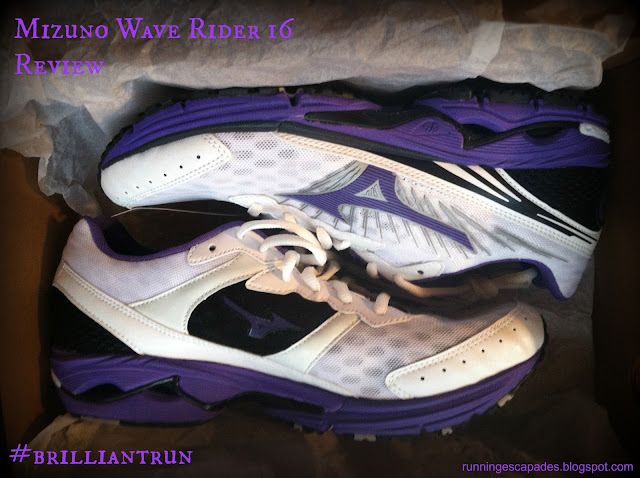 I first saw the Mizuno Wave Rider 16s in early December at a fun run sponsored by my local running store. 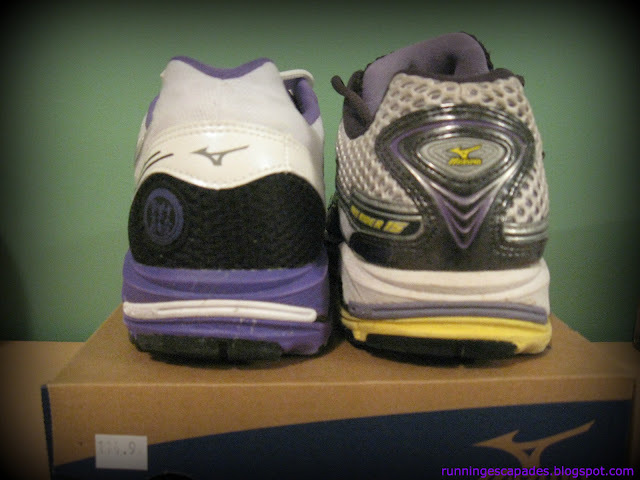 Mizuno Rep Mary brought a bag of running shoes for us to try that day and I choose the 16s since I already loved my 15s. 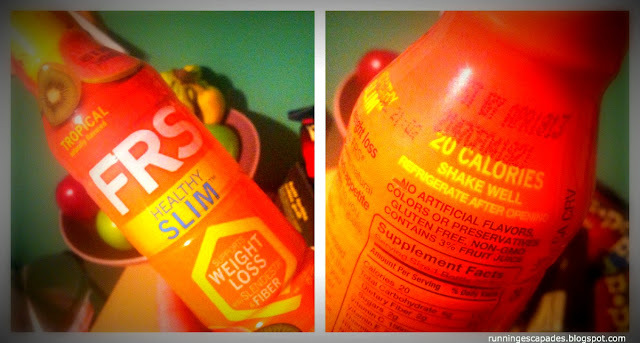 After that run, I couldn't stop thinking about them. 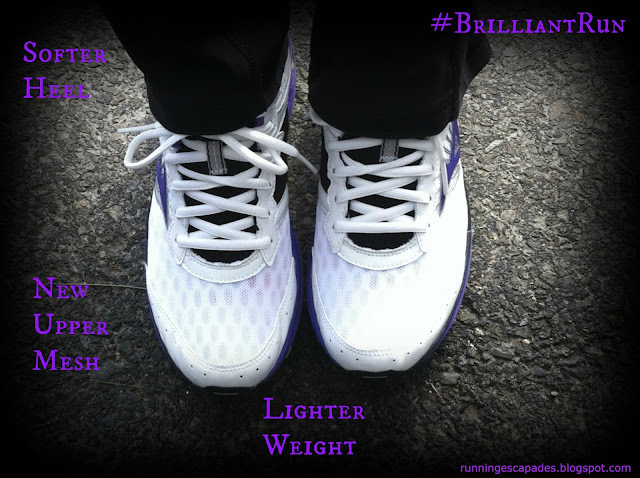 I admit, I put a lot of miles on my running shoes last year, but the 16s felt unbelievably soft and light. I hadn't noticed any discomfort while running in my 15s or my Inspire 8s, but a quick 5 mile run in the tester 16s clearly made my old shoes feel hard. One reason for this feeling lies in the change of material used in the heel which improves shock absorption and increases smoothness. 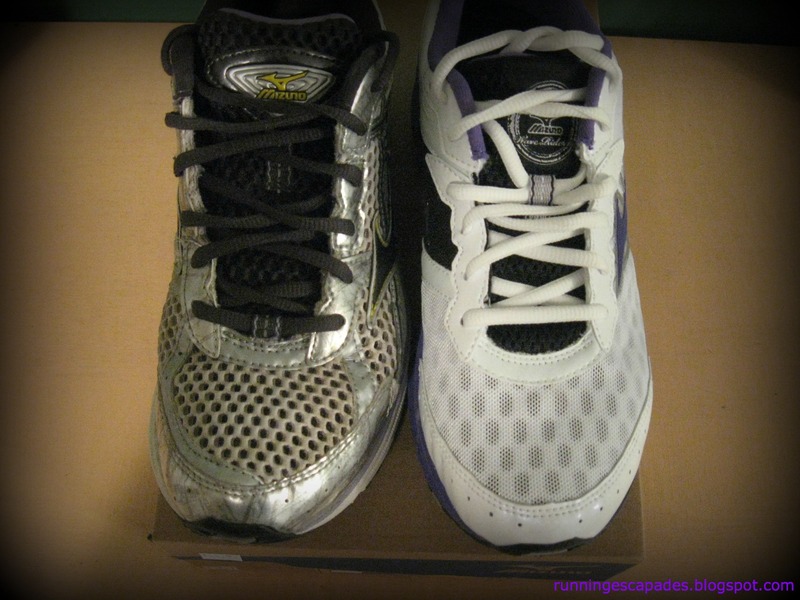 Another noticeable difference is in the upper part of the shoe. With the removal of overlays and the open mesh design, the shoe moves with your foot easier and improves breathability. 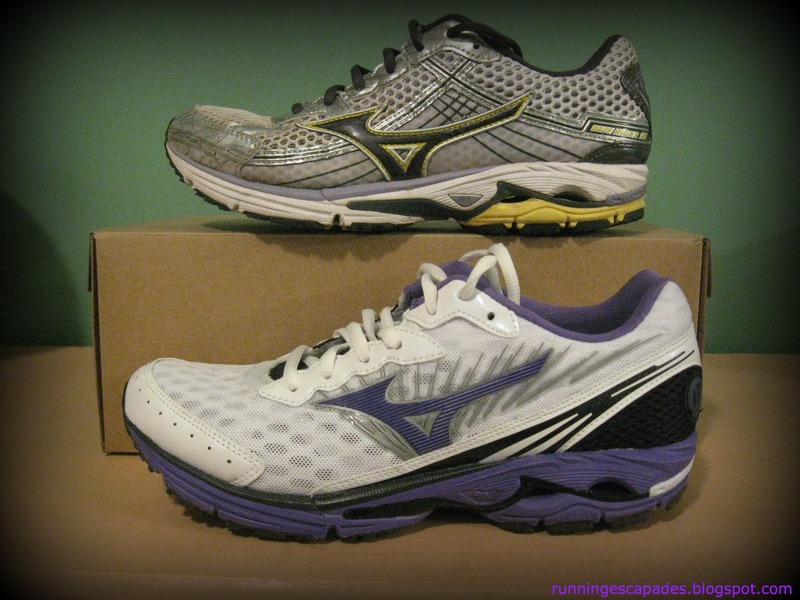 At 8.2 ounces, the Wave Rider 16 is half an ounce lighter than its predecessor. 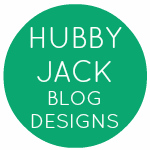 A subtle difference, but when combined with the other design changes it creates that soft, lightweight feel. Once again, Mizuno does not disappoint. The color options are vibrant so they look good, and the material changes add a plushness so they feel good. Win, win. What running shoes are you loving? 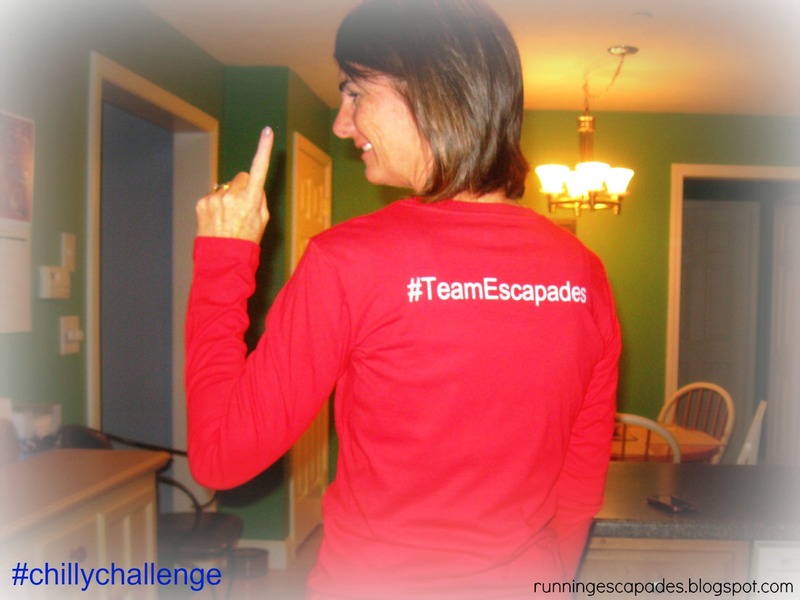 Only one more day to run and log your miles for Team Escapades! I have not received compensation for this post. 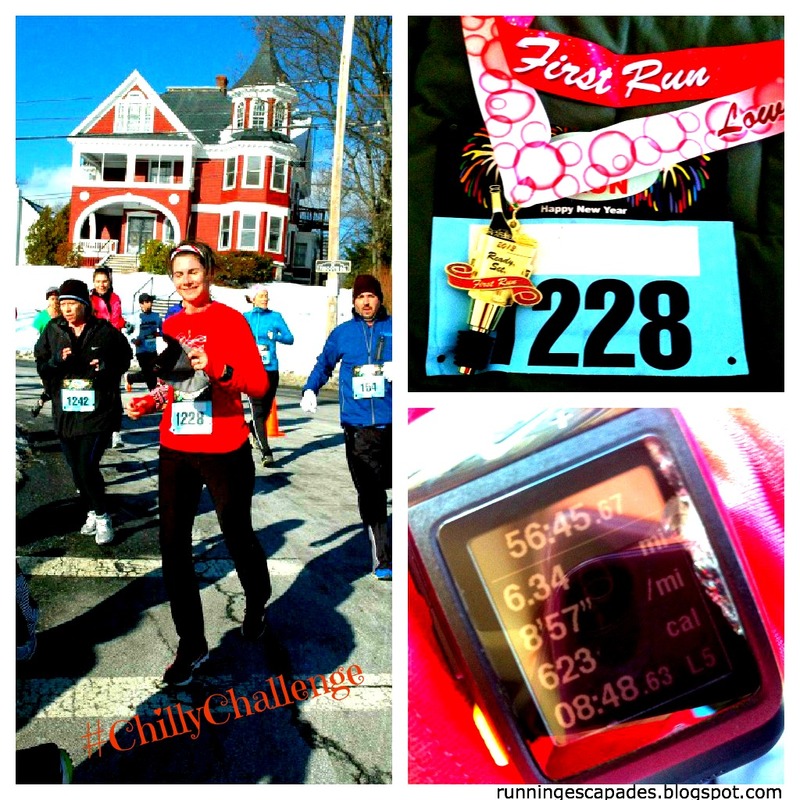 I entered a little Runner's Wager hosted by pavement runner and NYC Running Mama and since the Patriots didn't win the AFC Championship, my workouts last week included some #milesofshame settling up. On the upside, I could also add the miles to my team. 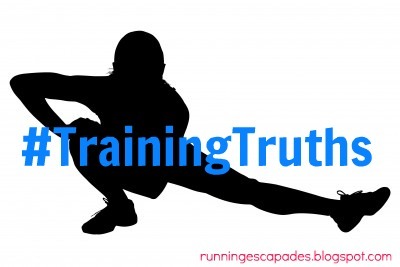 #TrainingTruth: There is no downside to running. I took advantage of the day off from school and put in a Monday morning run. 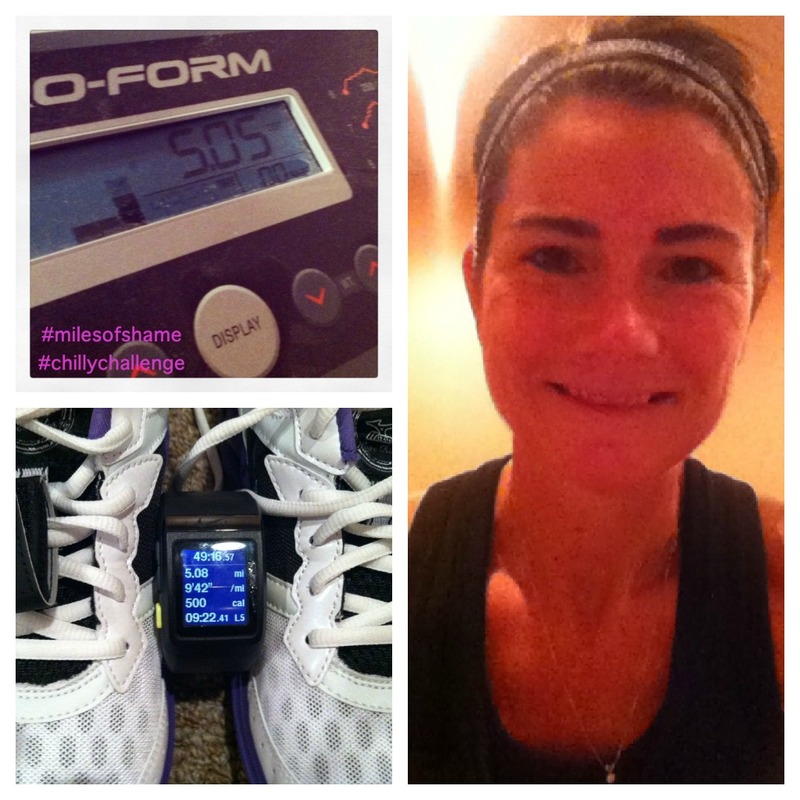 It was too cold for me to run outside by myself, so I jumped on the treadmill to run my first 5 #milesofshame. In or out, miles are miles. They all feel good. Instead of waiting until after school, Daisy and I decided to use our hour long lunch break to go for a run. It was only 18 degrees, but we came prepared with our Lululemon brisk run neck warmers and lots of layers. I love running in the cold and barely breaking a sweat. It just feels easy. With temps in the single digits, I took my run back to the treadmill on Wednesday and finished up my Runner's Wager #milesofshame debt. 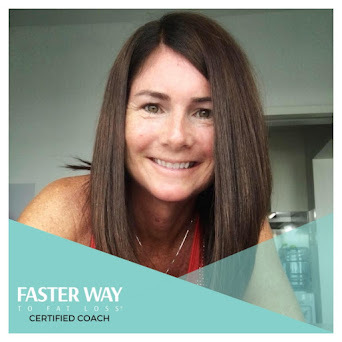 After reading about treadmill pacing problems I suspect that mine is also inaccurate because it feels so much harder to run the same pace as my outdoor runs. But, who can complain about TM runs when you have a buddy keeping you company. 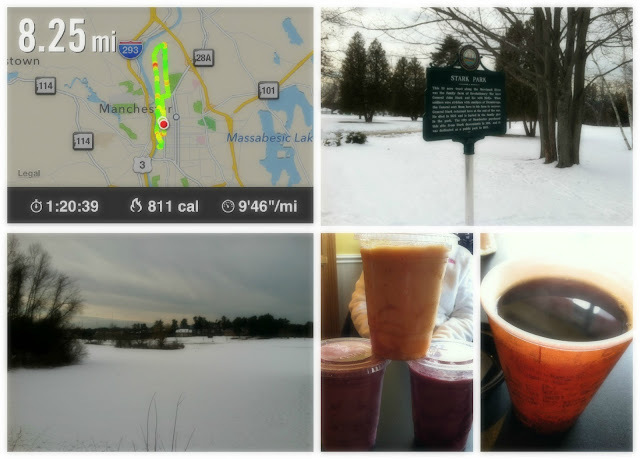 Still in a deep freeze, we canceled our normal Saturday morning long run (for fruit smoothies) opting instead for treadmill miles where we wouldn't lose any extremities to frostbite. With hopes that it might be warmer in the afternoon, I ran errands and went out to lunch with my husband, only to realize that I would be seriously crazy to run outside when I have a perfectly good treadmill in the basement. 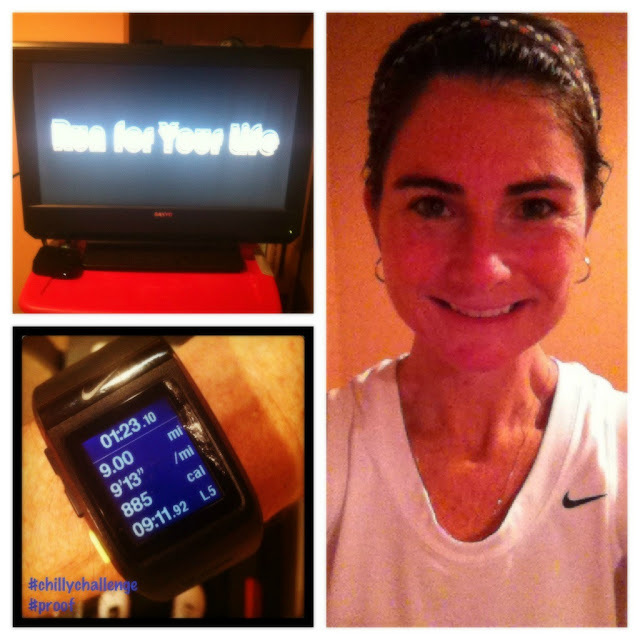 So I ran my longest distance on the treadmill while watching Run For Your Life - a documentary about NYC Marathon founder, Fred Lebow. 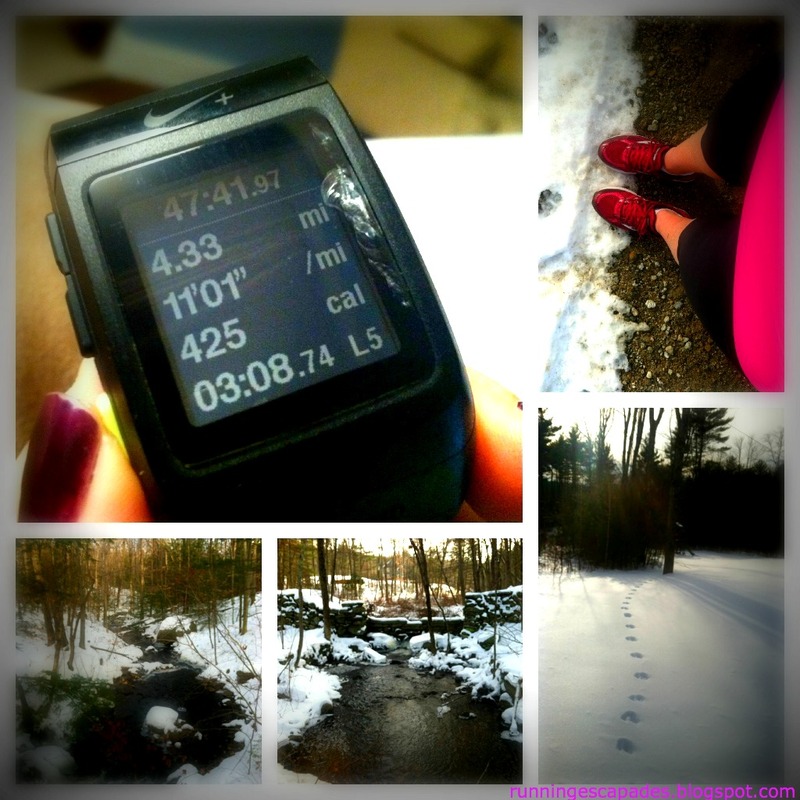 Has the weather been affecting your training lately? It's been frigid here in New England lately. Temperatures are low, wind chills are even lower. 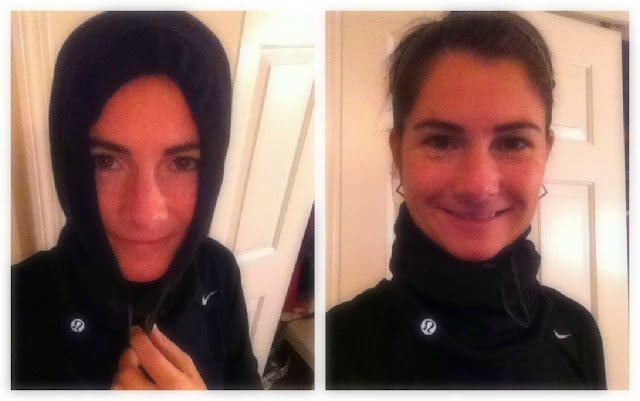 This season, I'm more prepared for my cold outdoor runs with a new piece of winter gear. After seeing my running partner wear this, I had to get one. This multipurpose piece is a neck warmer that can also be worn as a hood. I hate to wear hats because my head gets warm and then I have to carry the hat or end up overheating. But sometimes the temperatures are too cold to just wear bandless earmuffs. With the brisk run neck warmer, once you warm up, you can just pull it down and wear it loose around your neck. 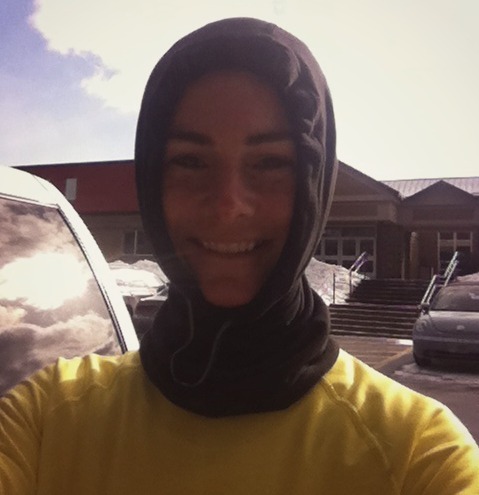 In below freezing weather and running against the wind, my head and ears stay warm and comfy. The BRNW has an adjustable cord at both ends so that you can wear it as snug a you like. The Rulu fabric is super soft and wicking. 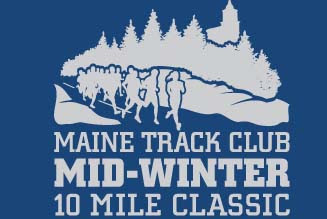 Next weekend I'm heading up to Maine to run the Mid-Winter Classic 10 Miler in Cape Elizabeth. 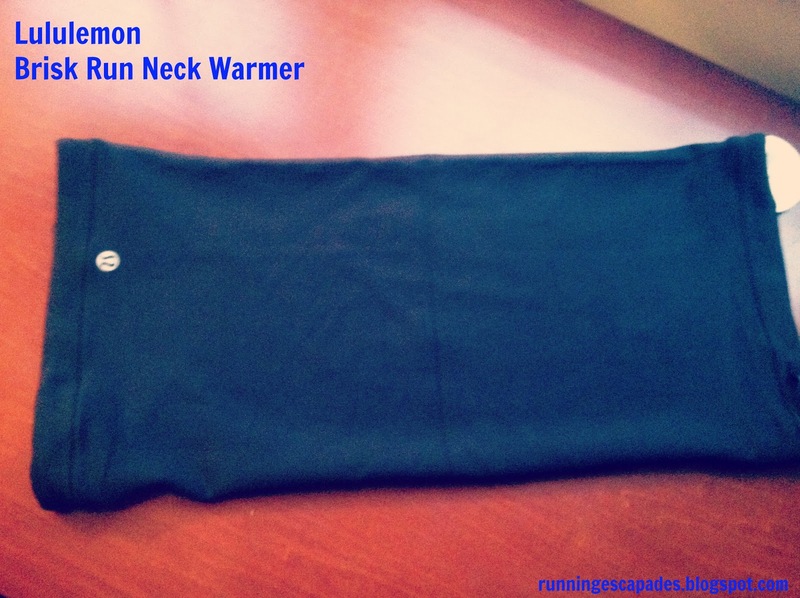 I have a feeling my new brisk run neck warmer will keep me safe and warm there. What are you wearing this season to stay warm and safe from the cold? 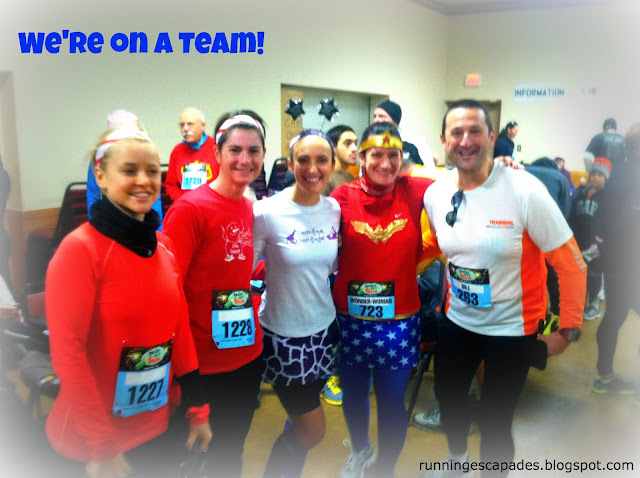 In a couple of months, my running partner and I will be driving to New York City for the NYC Half Marathon. 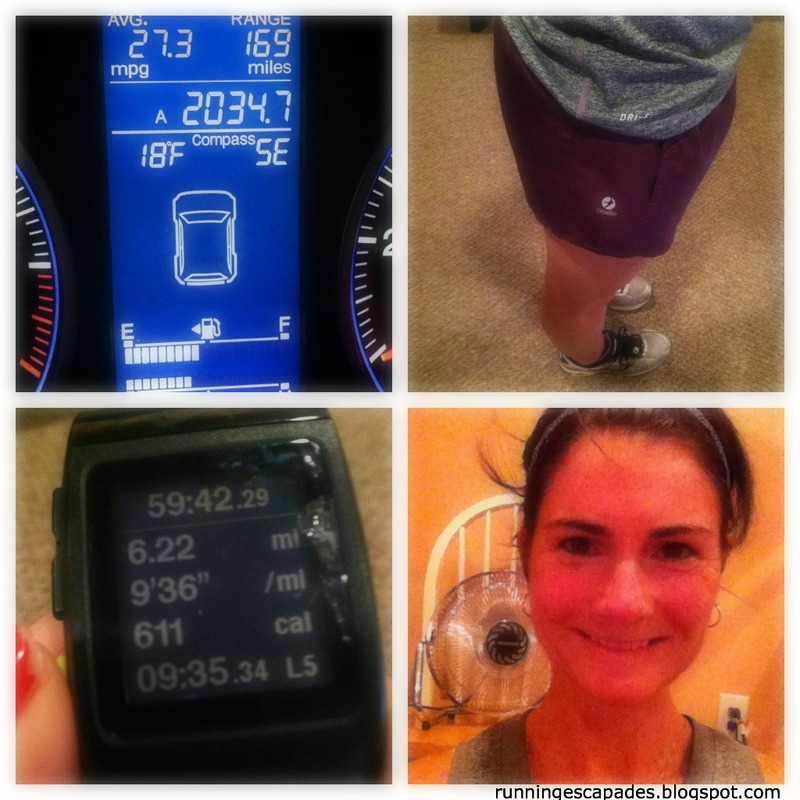 Obviously there's a lot of miles involved: running and driving. I can see to run, but I need glasses to see when I drive, especially at night. Just a few of weeks ago, I went for my regular eye exam. Around the same time, I was contacted by Firmoo to do a review of their eyeglass wear. So I jumped at the chance to try some new glasses. 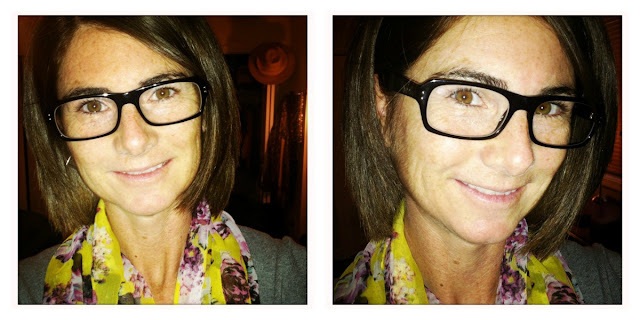 I used Firmoo's virtual try on system that lets you see what the glasses look like on similar shaped faces to help me pick my frames from the large variety of options on the website. Less than two weeks after choosing my frames and submitting my prescription, my new Firmoo eyeglasses arrived. They came with a hard case, pouch, cleaning cloth and tool kit. The durable plastic frames are strong yet comfortable, and just as stylish as they presented on the website. 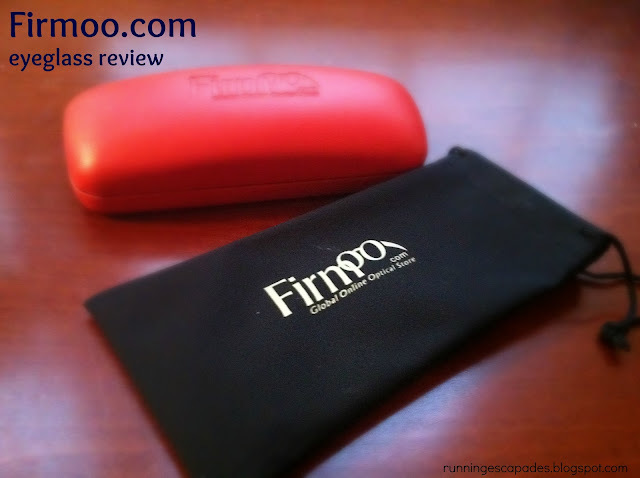 Firmoo offers men's and women's glasses, designer glasses, RX sunglasses, and fashion eyewear - that's right, glasses are officially a fashion accessory. There is also a First Pair Free Program for new customers. You only have to pay for shipping. I'm very happy with my new eyewear and being the frugal shopper that I am, I already have plans to pick out some new eyewear for my husband. He is the one who attempts to take great race photos by riding around during a race reading a course map. At the beginning of last week, I fell victim to some sort of illness. Whatever it was knocked me off me feet and put me to sleep for about 8 extra hours on Monday afternoon. One sick day later and I was bouncing back. #TrainingTruth: It's ok to be down, as long as you get back up. 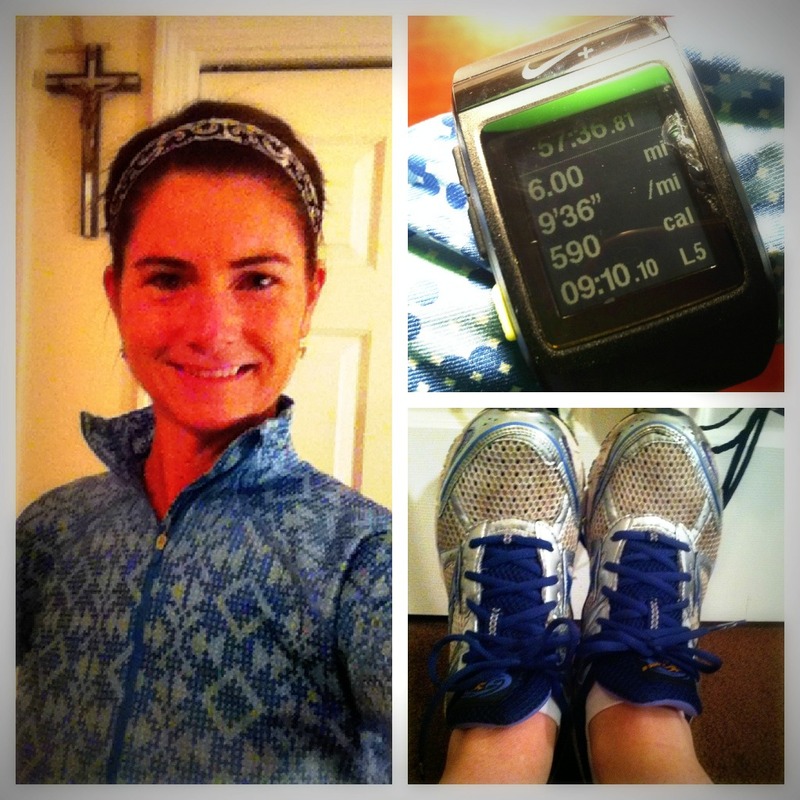 Monday's run did not happen. Tuesday became a sick day. Wednesday I was granted a snow day. As soon as I received notice, I changed into my running clothes and jumped on the treadmill. 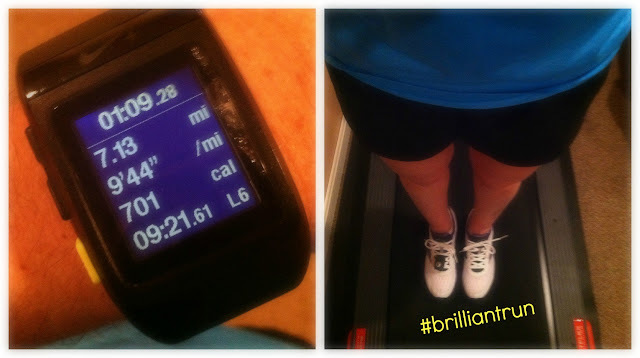 Usually a long run on the 'mill is torture, but I was eager to run. 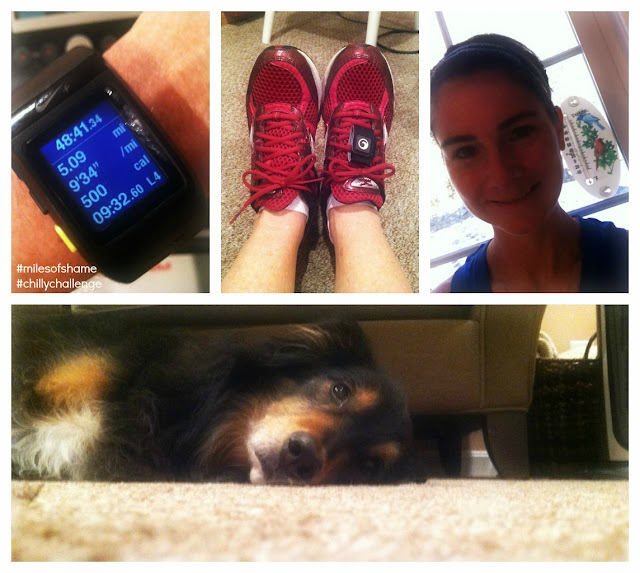 With the loyal hound keeping me company and the first episode of The Bachelor tuned in, I logged 7 miles. I forced myself to do an easy one mile warm up, then upped my pace to 9:30-ish for five, before ending with another easy one mile cool down. It felt good to be back. Itching to run again, on Friday night I jumped on the treadmill. First, I wanted to stay on track to get at least three runs for the week. 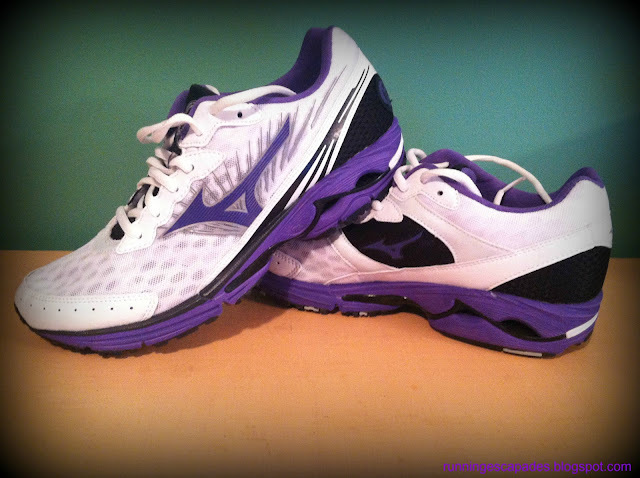 Second, I had some new shoes to try (review coming soon). Once again, I sandwiched my five mile run between a one mile warm up and cool down. 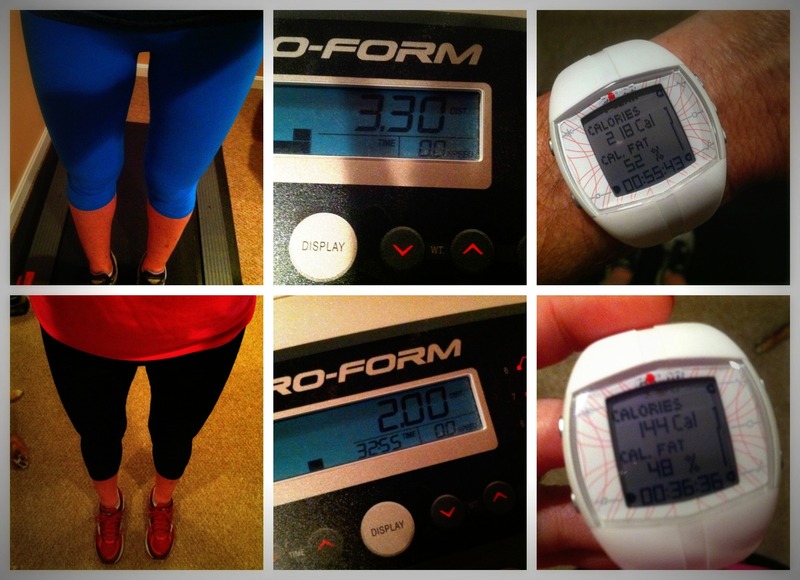 This is pretty easy to do on a treadmill where pushing a button controls your pace. 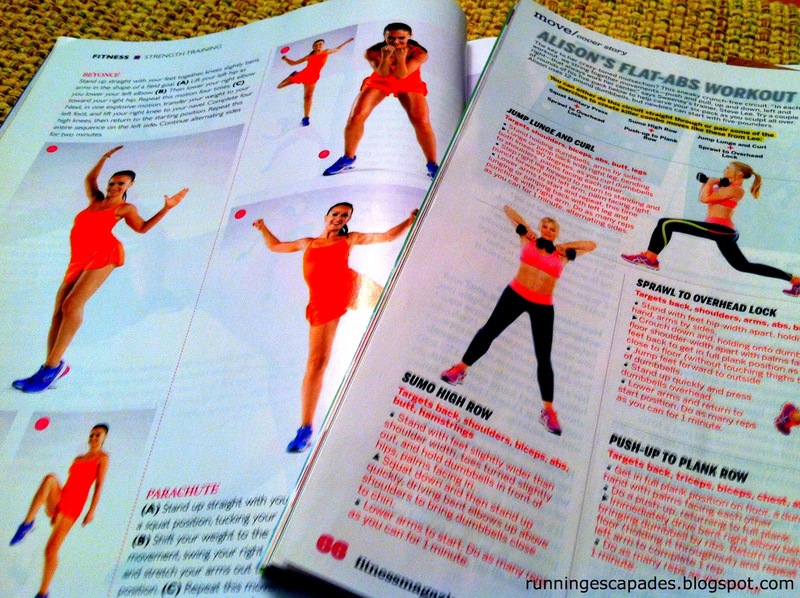 I need to learn how to do this on my outdoor runs because it makes my legs happy. On Saturday morning, Daisy and I met downtown for our weekly run for smoothies long run. We did the same loop as last week only she had the great idea to do it backwards. The tough hill was at the beginning, and the rest of the run felt mostly down hill and easy. 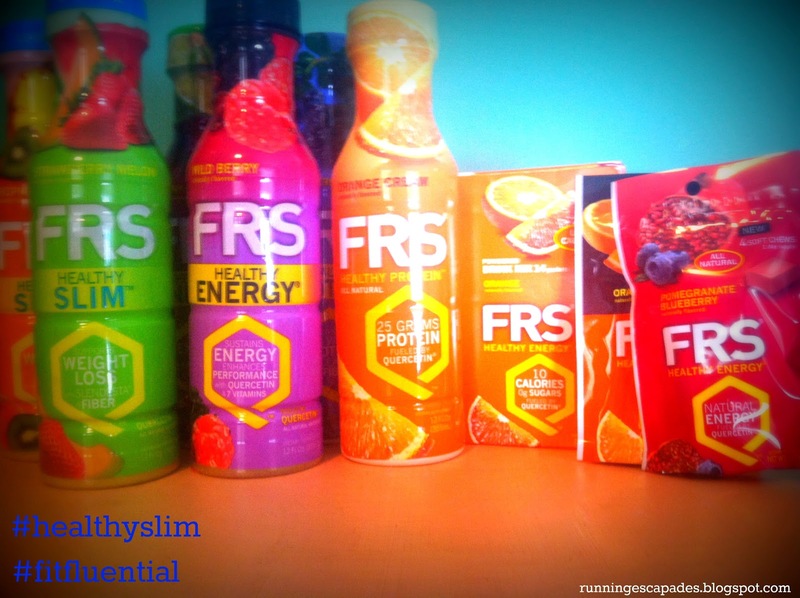 Fresh fruit smoothies after proved that I was indeed feeling better. 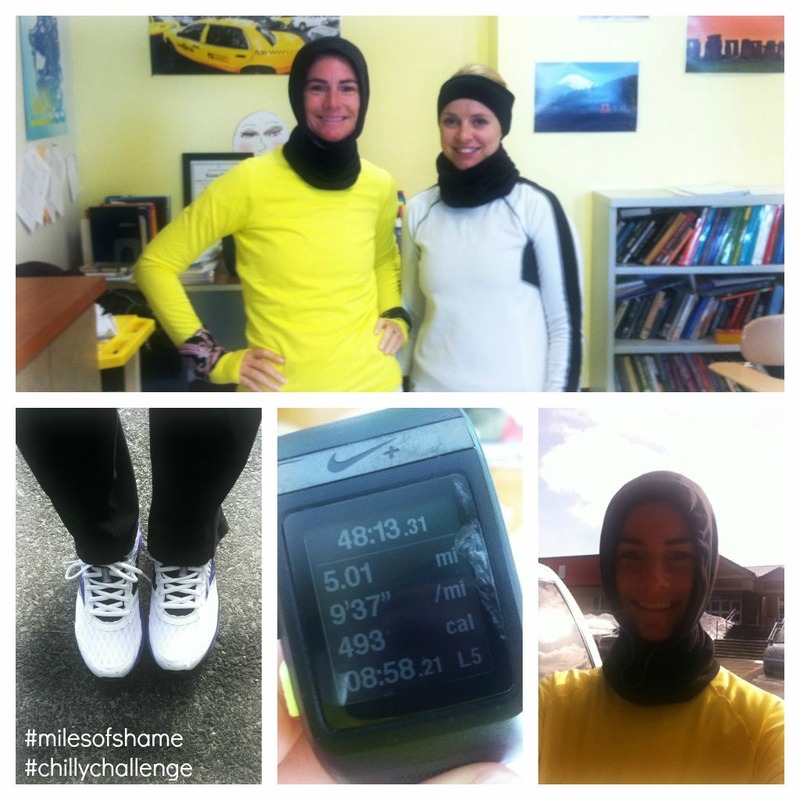 I am so happy with the results of the first two weeks of the Chilly Challenge. We have over 300 participants! We have logged more than 8000 miles in just over two weeks! I've seen tons of motivation, encouragement, and inspiration on Twitter and Facebook! 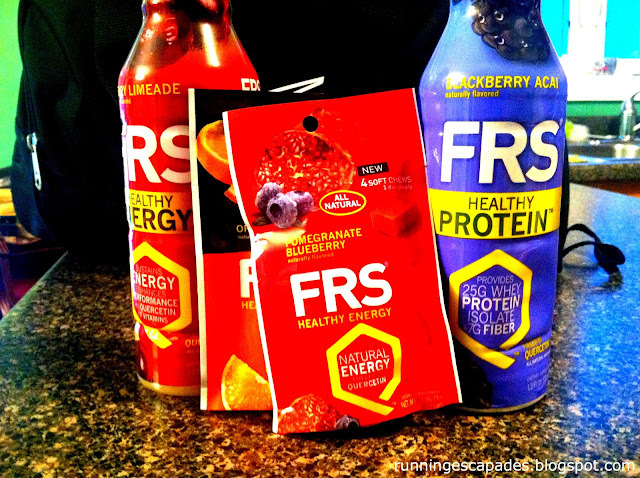 We have awesome sponsor support from some of our favorite product lines. When Janine and I began talking about putting together a January challenge, I never imagined so many people would be interested in participating. It is so exciting to see so many people being motivated and having fun. To those of you who have taken the time to send me an email or comment online, Twitter, and Facebook: thank you for being fit, for being inspiring, and for your support. I live in a very rural area in New England. Now even though it was deemed one of the best small towns in New Hampshire, I would never run on the roads and use earbuds to listen to music. Instead I save my music for indoor workouts or blast the volume from an armband. I love that you can choose music by the beats per minute. 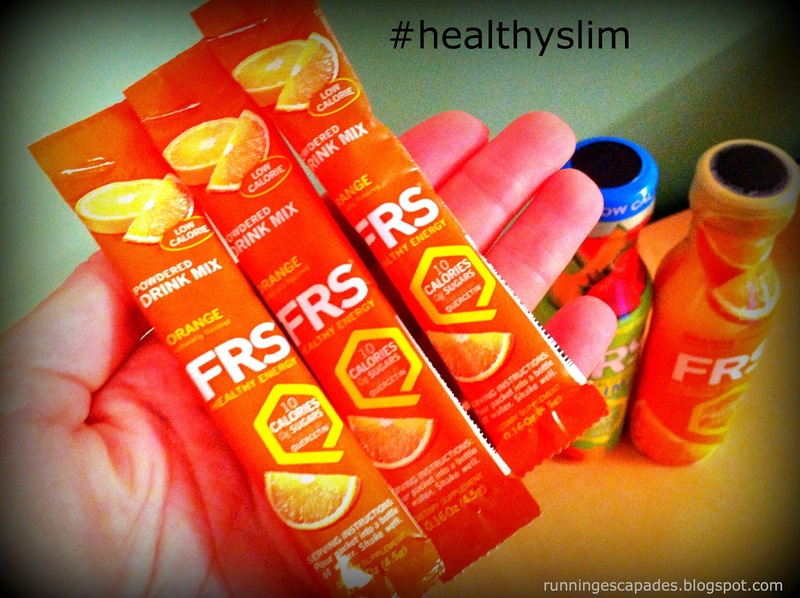 I really started using the RockMyRun mixes consistently when I was training for Reach the Beach and the ZOOMA Cape Cod Half Marathon. I knew I would be running solo and needed a way to maintain my pace. Lately I have been using the mixes more during interval treadmill runs or walking workouts to keep me entertained. 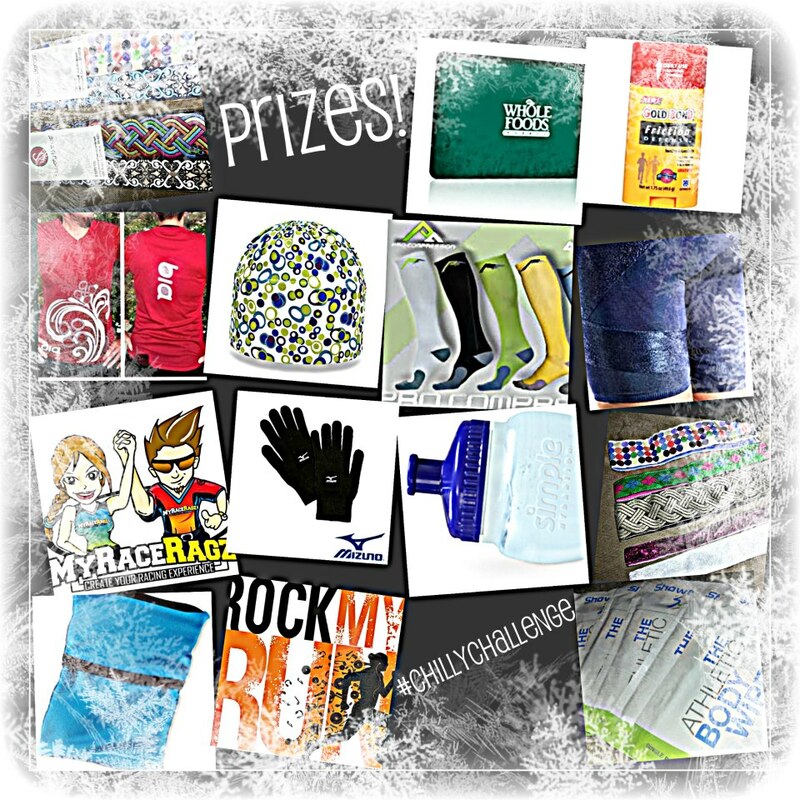 RockMyRun is one of the prize sponsors for the Chilly Challenge. If you haven't already, show them some love on Twitter and Facebook and tell them I sent you! I have not received any compensation for writing this post. I just really like RockMyRun and they were generous enough to donate prizes to the Chilly Challenge that I am hosting on this blog. 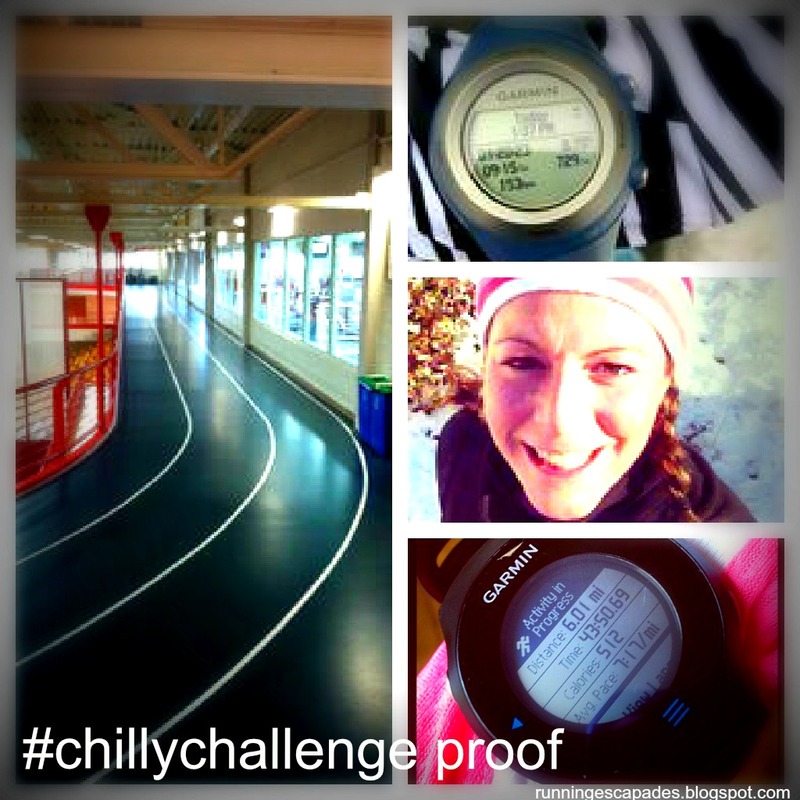 Last week my training coincided with the kick off of a couple of fun monthly challenges. 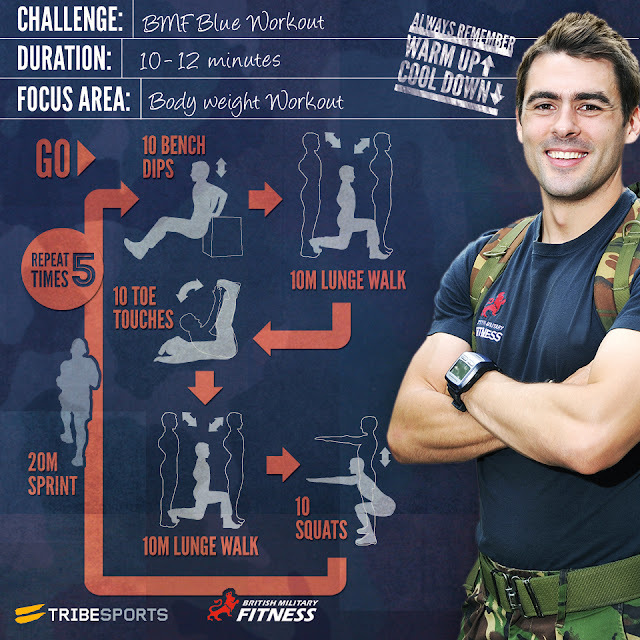 Challenges are fun because you can find motivation, sometimes win prizes, but most importantly improve your overall fitness. 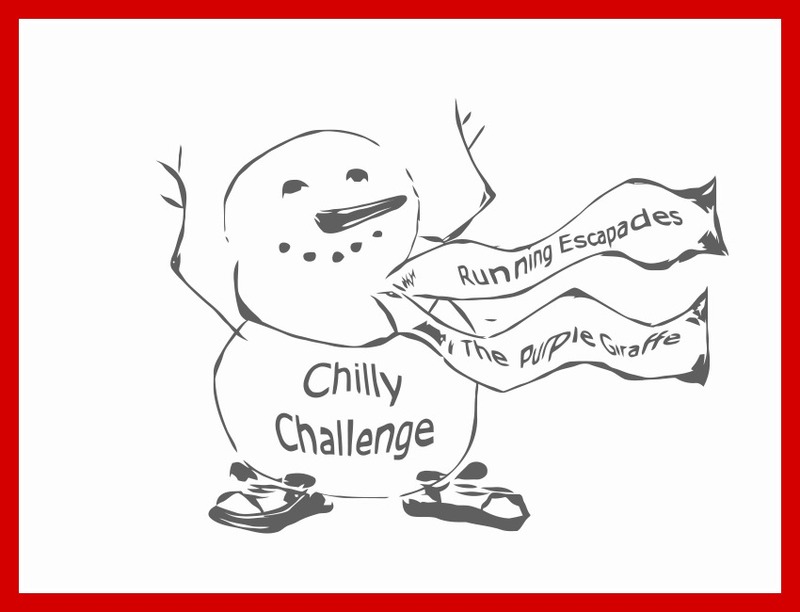 This month I am hosting the Chilly Challenge with Janine from The Purple Giraffe and I want my team to win the prizes. 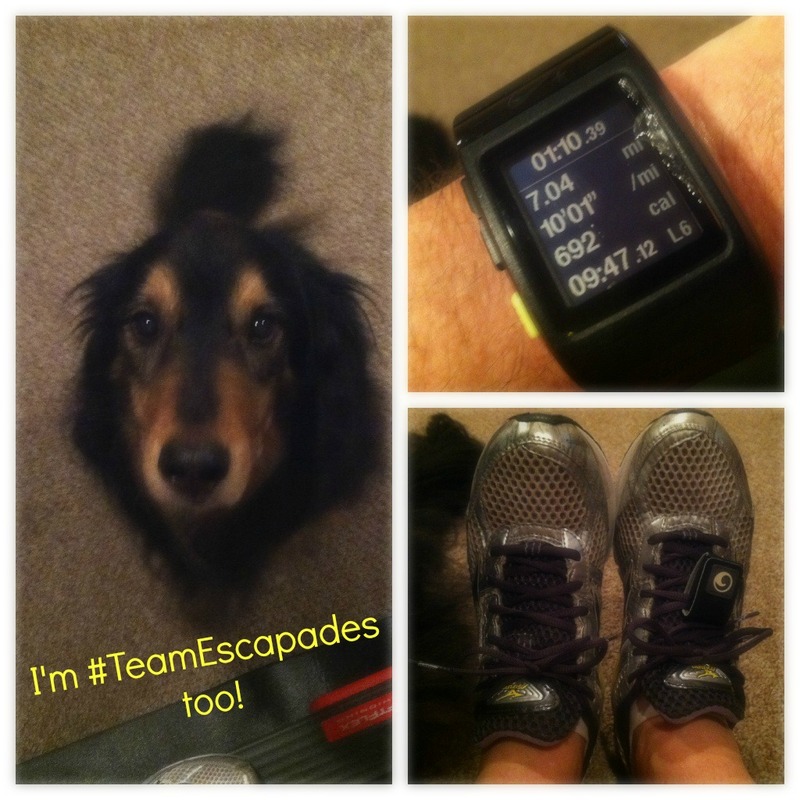 I logged my first miles for Team Escapades with a 10K race on Tuesday. 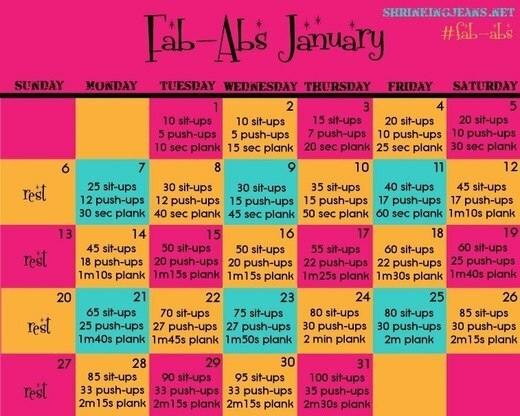 Shrinking Jeans has me motivated again with Fab Abs January. 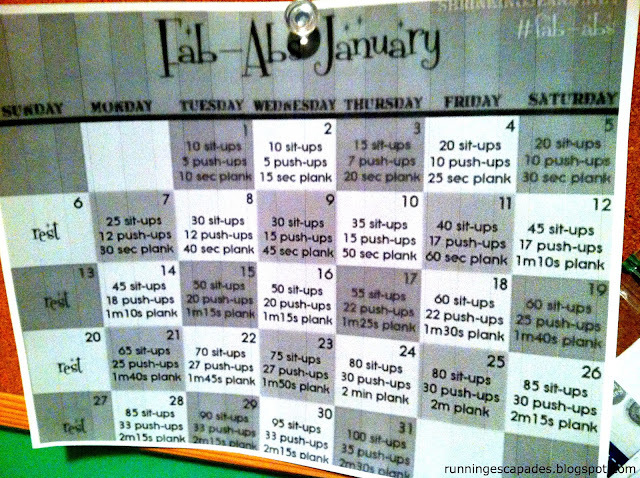 This 30 day challenge is meant to supplement your current fitness routine (like running) and build your strength by progressing each day. I did a couple last year with positive benefits to my running and overall fitness, so when I saw this one I had to do it. 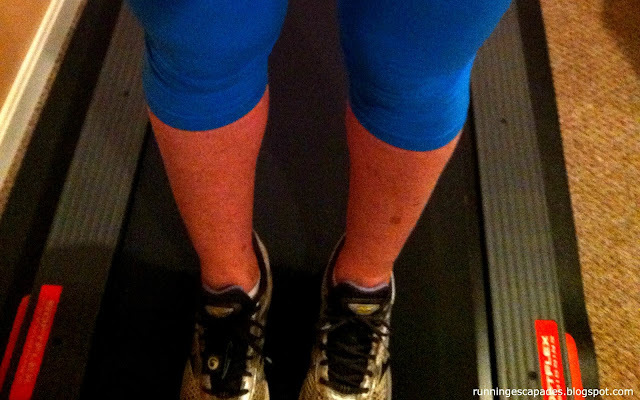 With temperatures at a feels like 8 degrees, I took my Thursday run indoors where I could wear my favorite Oiselle shorts. After logging another 10K on the treadmill, I cooled off in front of the fan - which just feels weird when it's so cold outside. Temperatures warmed up to 29 degrees on Saturday, so it was time to head back outside. 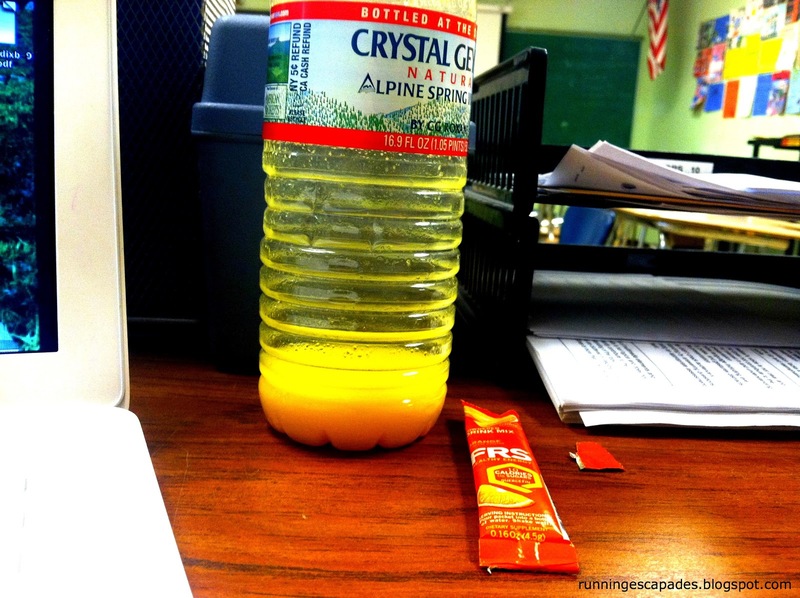 I layered up in my favorite Nike thermal top with built in mittens and mixed up some Cytomax to put in my Simple bottle. For the first three miles around the frozen lake I felt like I was overdressed, but the higher elevation and winds kept me cooler on the second half. Last month I mentioned that I was learning how to use my Polar HRM. 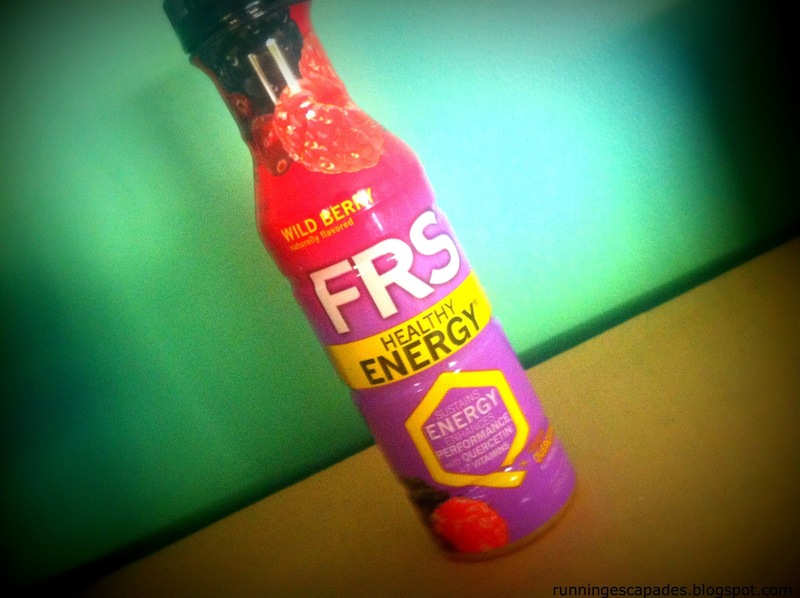 Mid-morning Sunday, I drank half a serving of FRS and then fired up the treadmill for a 30 minute walking workout determined to get in one day of cross training for the week. 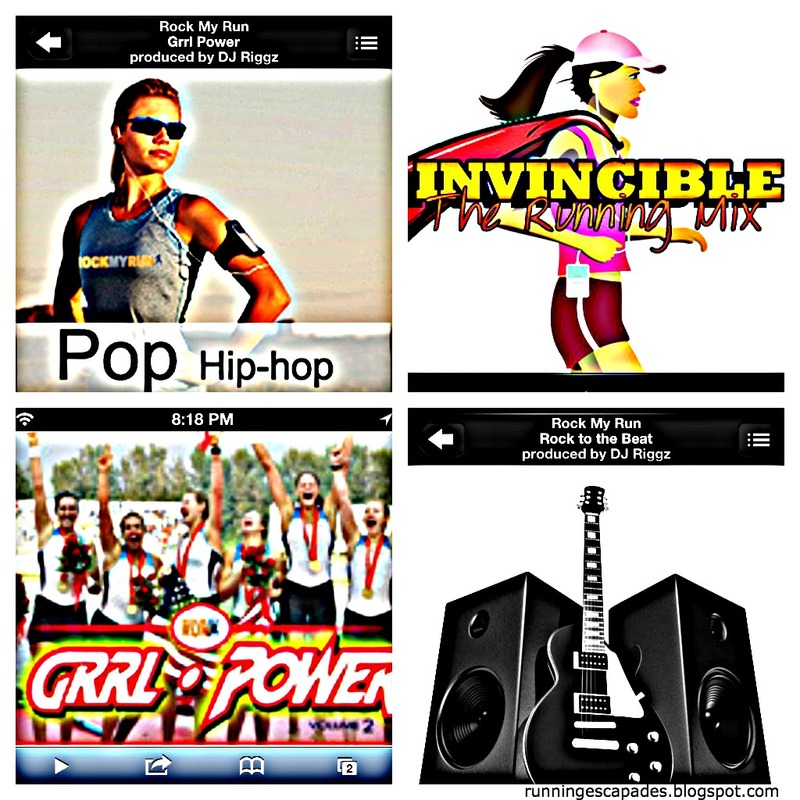 I listened to Grrl Power Vol. 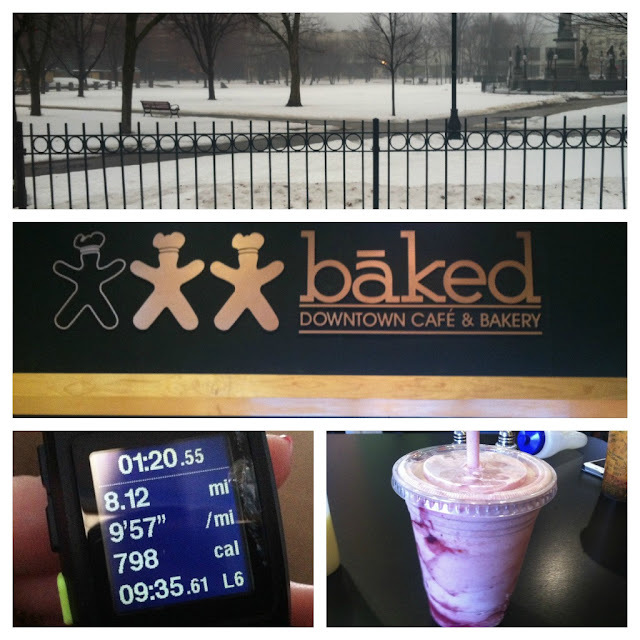 2 from RockMyRun and watched the end of Legally Blond while treading out 1.77 miles.